Start your day off right with a healthy diabetic friendly breakfast. Everyone always talks about how breakfast is the most important meal of the day… It gets your day started off right now only by helping you get your energy flowing but also can support you in blood sugar control and stages of intense hunger later in the day. Healthy breakfast for diabetics is not difficult to come by and here we’re going to provide a few diabetic breakfast ideas to get the day started right, even when you’re watching your blood sugar levels. Click here for a 7 day diabetic meal plan. When diabetics eat a diabetic friendly breakfast, it can not only support blood sugar levels in a positive way but also reduce insulin sensitivity and help with weight loss. On the other hand, skipping breakfast has many adverse effects for diabetics and can even increase the chances of developing diabetes. Those who have diabetes are aware that they need to count the number, or know the number, of carbohydrates that should be eaten in every meal. Each person is different in regards to the number of carbohydrates needed, if you are unsure of your target number, speaking to your doctor about it is a good way to figure out the best number. These numbers are targets to keep blood sugar levels in line and can be achieved through meal planning. Making sure that your kitchen is full of diabetic friendly breakfast, lunch and dinner foods can stop the urge for impulse eating which can allow blood sugar levels to sky rocket. Eggs are packed with protein and a great go to for mornings. You can even hard boil the eggs in batches so that you only need to reach for one in the morning on your way to work. Purchasing omega-3 right eggs is a great way to keep inflammation down. Overly consuming eggs can raise cholesterol levels but that’s only if more than 6 eggs are eaten in a week. English muffins is one of the great diabetic breakfast ideas and can suit anyone’s taste buds. English muffins come in so many flavors today that you can have sweet or savory. Although it’s recommended to eat a whole grain English muffin, the others don’t have many calories in them. Recommended toppings to the whole grain English muffin are peanut butter, almond butter, avocado or low-fat ricotta. Oatmeal is quick, easy and delicious. It can be topped with Greek yogurt to give it an extra creamy flavor, but only if the unsweetened kind is purchased. Not to mention that oatmeal can be topped with nuts and seeds or even berries atop Greek yogurt to provide a more rounded healthy breakfast for diabetics. Just like oatmeal, Greek yogurt should be purchased unsweetened if you’re going to be adding it to your list of diabetic breakfast ideas. Greek yogurt is packed with protein and a few carbs. Just like the oatmeal you can add nuts and seeds or berries to it to give it more depth. 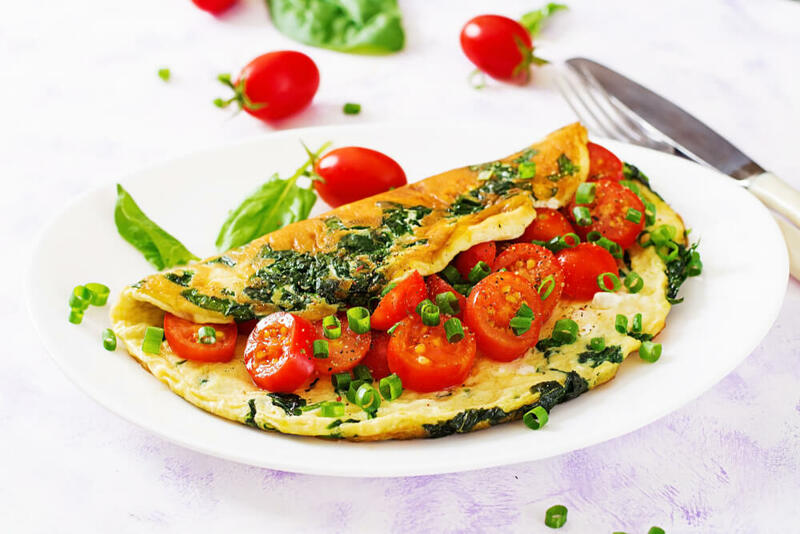 Who doesn’t love a delicious omelet as part of a healthy breakfast? Omelet is great because you are getting protein from the eggs and can add as many veggies as you like and some avocado. Don’t go for bacon, sausage and cheese even though it may be tempting. Keep it light and full of good nutrients to get the day started off right. Although it isn’t a typical breakfast food, cottage cheese can be eaten with nuts, berries and seeds to give it a more round flavor. Finding the right healthy breakfast ideas as a diabetic doesn’t have to be difficult. There are so many resources out there today that give you step by step instructions, ideas and plans to make breakfast your favorite part of the day. If you’re unsure about eating specific things, speak to your doctor about which options are best for you to keep you healthy and fit.